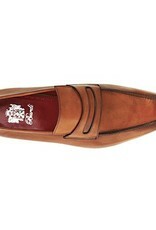 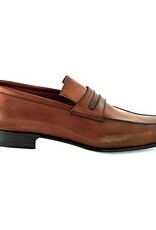 An updated version of the old classic these penny loafers will take you anywhere with style. 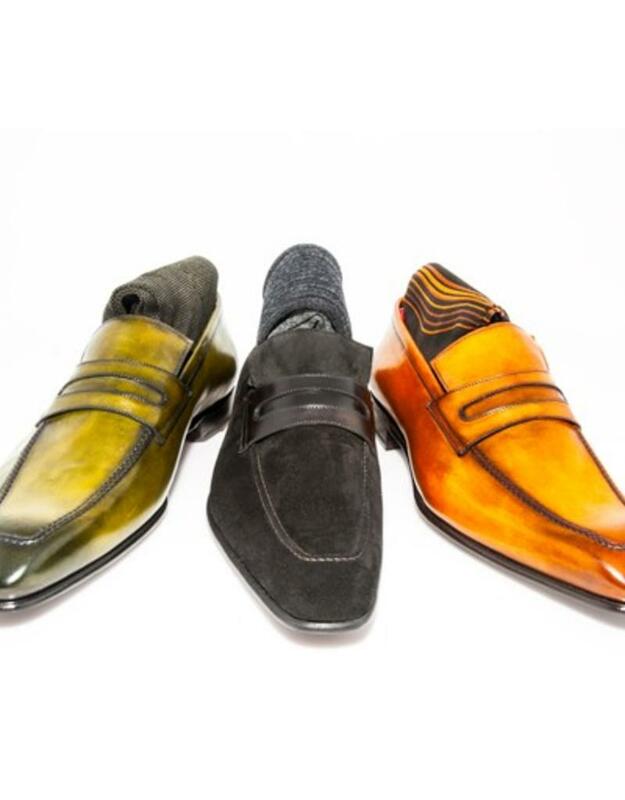 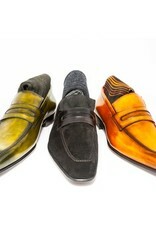 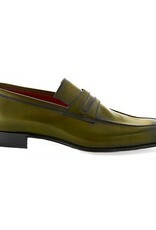 They come in three colors - verde, tan and, a luscious black suede - so you have options to match with your wardrobe. 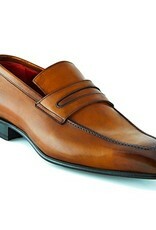 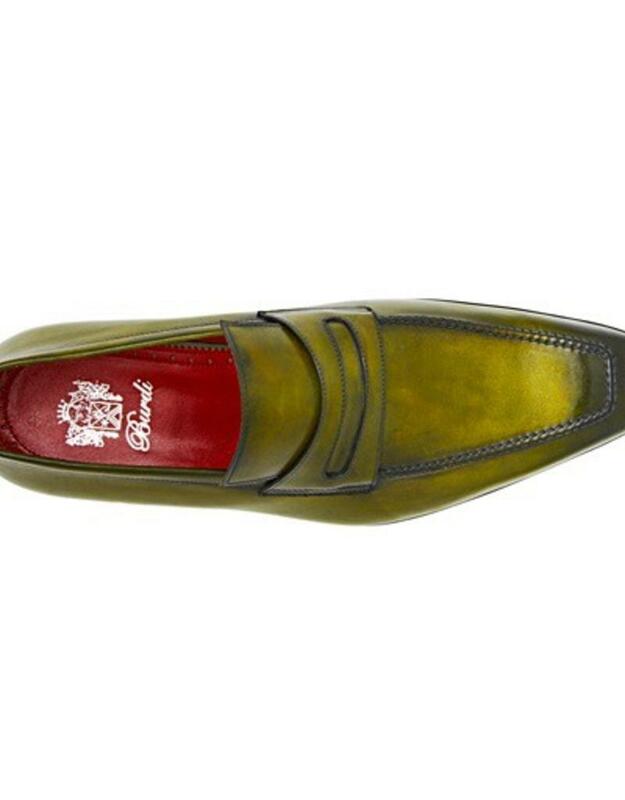 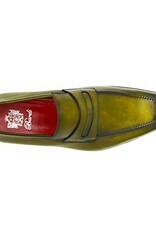 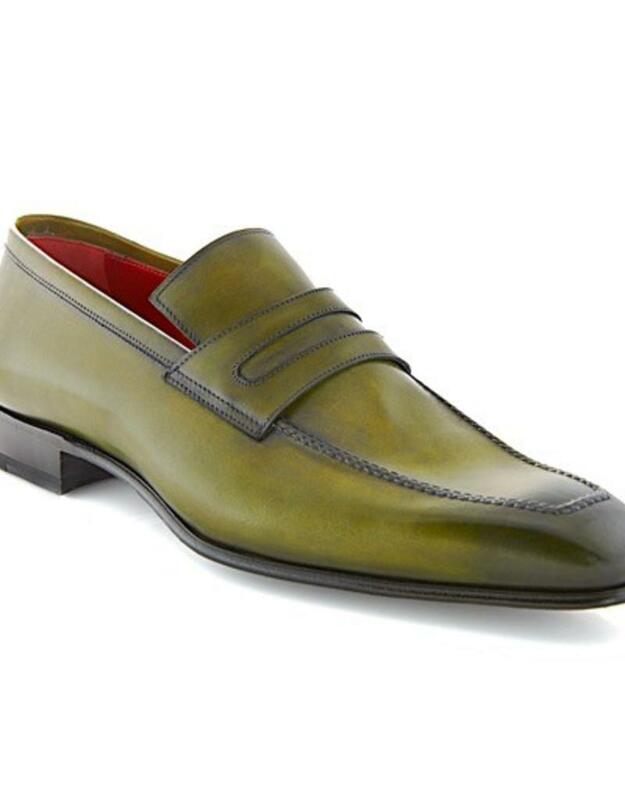 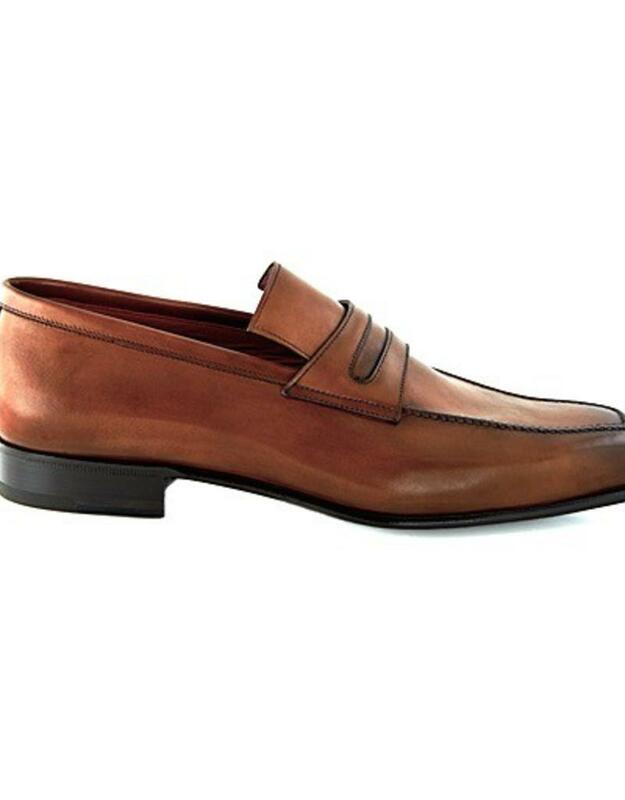 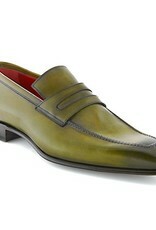 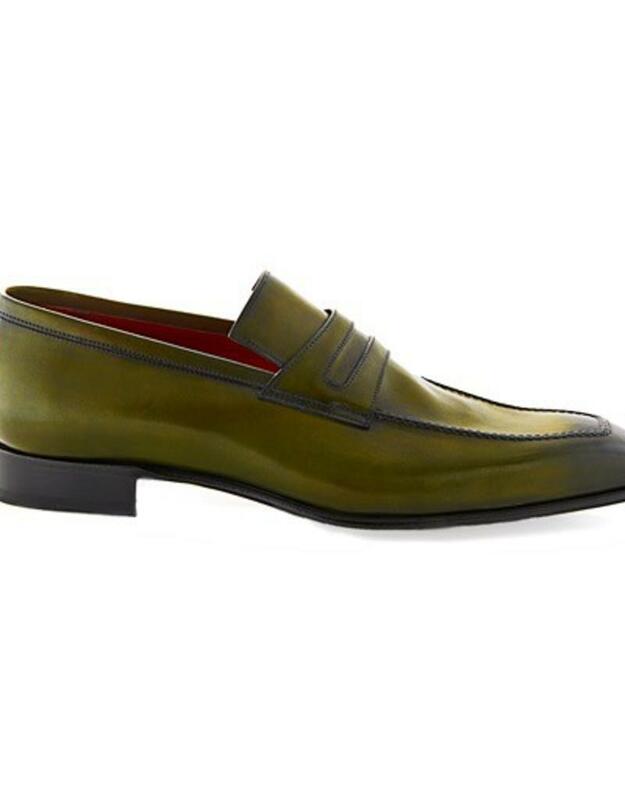 Hand-crafted in Italy from smooth calfskin and individualy stained to achieve depth of color. 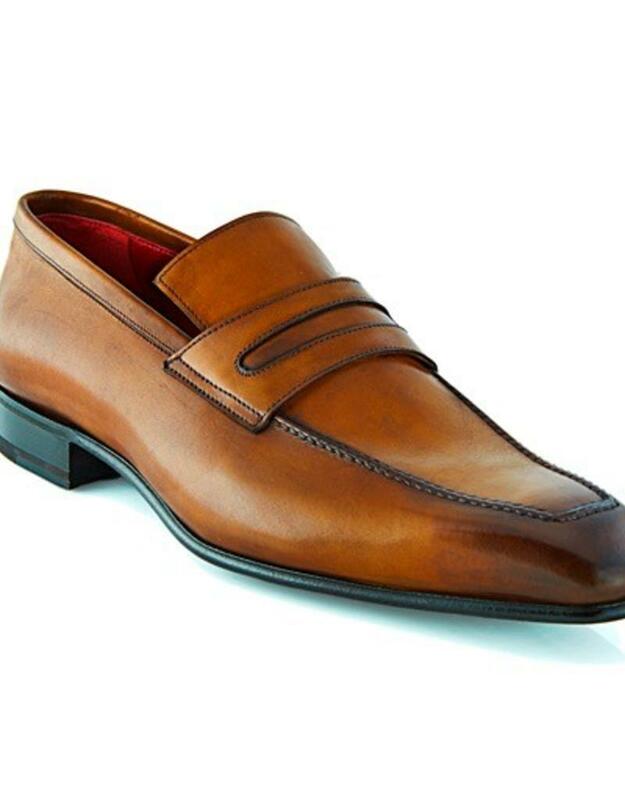 Blake construction and leather soles that will soften with wear means they're comfortable and flexible and you’ll enjoy them for years to come. 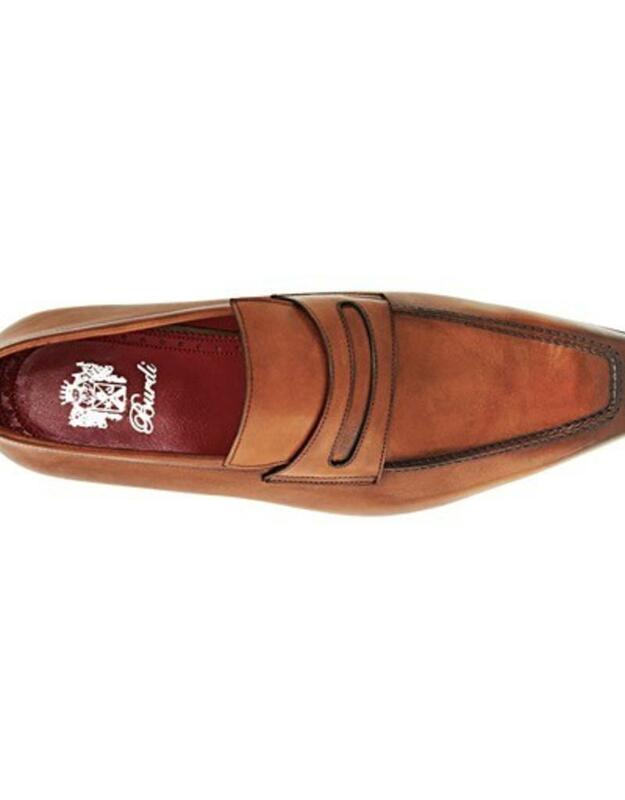 You'll find a use for them at the weekend as well as working days.